Native Instruments announces that its effects processor Spektral Delay is now available for Mac OS X. This new version of Spektral Delay fully supports the modern technologies and interfaces of Mac OS X, including AudioUnits, RTAS, VST and standalone operation with CoreMIDI and CoreAudio. With this, the complete NI product range is now available on Apple's most recent operating system. The Spektral Delay update 1.5.5 is immediately available to all registered users as a $29 / 29 Euro direct download. Customers who bought their copy after November 1st, 2003 can download the update for free or receive an update CD 19 Euro. Registered users of Spektral Delay Pro Tools Edition can also download the update for free. In 1971, at the NAMM Convention, Bob Moog introduced the Minimoog. 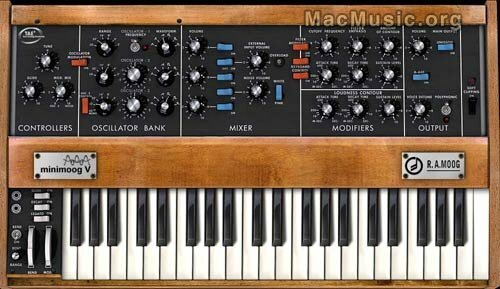 33 years later ARTURIA announces the release of Minimoog V, the recreation of what became the most popular synthesizer of all time.Offering all the features of the original, the Software version also brings polyphony, MIDI management, preset handling. 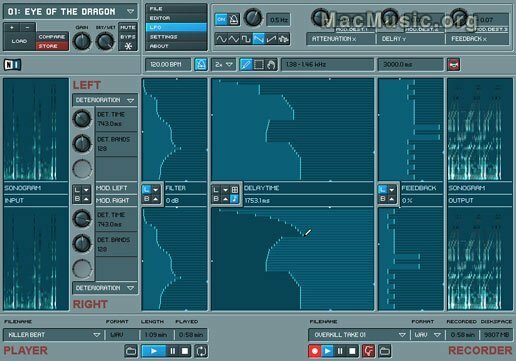 And taking advantage of modern tools, additional functions are hidden beyond the control panels: a modulation matrix, a LFO, an arpeggiator, a chorus and a delay. 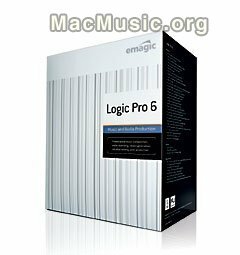 The Minimoog V will be OS 9 (VST, MAS, RTAS, TDM) and OS X (Standalone, AU, TDM, RTAS) compatible and available at the end of february '04. Minimoog V by Arturia Post a comment ? 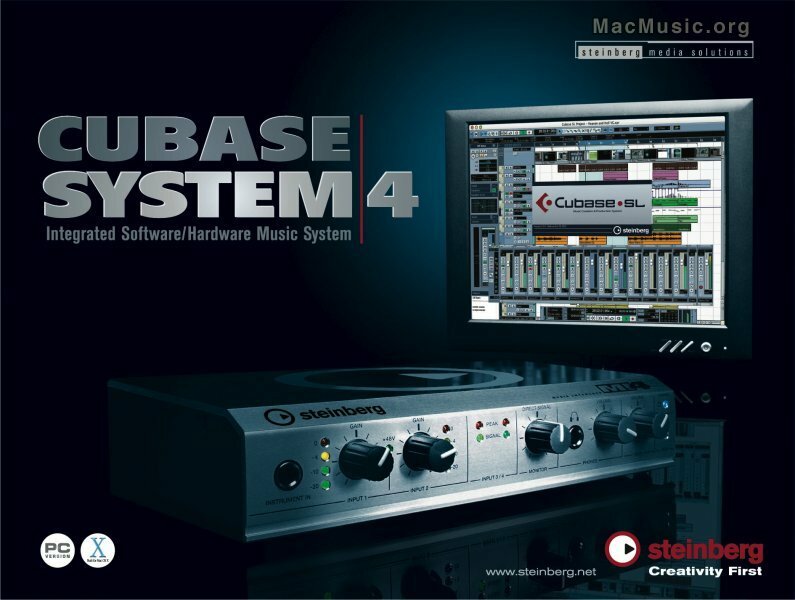 Steinberg Gmbh announced his new Cubase-System 4. This system is made by an audio interface USB 1.1 (USB 2.0 compatible) MI4 featuring 4 audio I/O, 2 microphone preamps with XLR inputs and switchable phantom power, 2 line inputs, 24-bit/96 kHz A/D and D/A converters , Main/monitor/Headphone outputs with level control, S/PDIF stereo I/O, 16 channel MIDI I/O. This audio interface is 100% bus powered and ASIO2 and Core Audio drivers are included. This interface is packed with Steinberg Cubase SL software. The Cubase System|4 is priced at EUR 456.00 excluding VAT and will ship mid February 2004. In a further move to open up its main DAW products to the programming community, Steinberg announces the launch of a new integration interface. The VST Module Architecture allows third parties to program MIDI effect plug-ins for its Nuendo and Cubase SX/SL/SE sequencers. The VST Module Architecture 1.0 SDK is available for download Post a comment ?